More of the, while I was at Bullseye story…we spent some time doing some kiln casting. Very interesting stuff and I have to say, it has my mind reeling with ideas. In our class we had two figures to use to caste. There was a pyramid and a baby doll head. With my darker sense of humor I couldn’t help picking the baby head. We could use either frit or billet to cast with. Frit would give the inside a bubblier look while the billet would make the piece more transparent. I chose frit. The other lady that chose the baby head did hers in billet. It was very cool too. 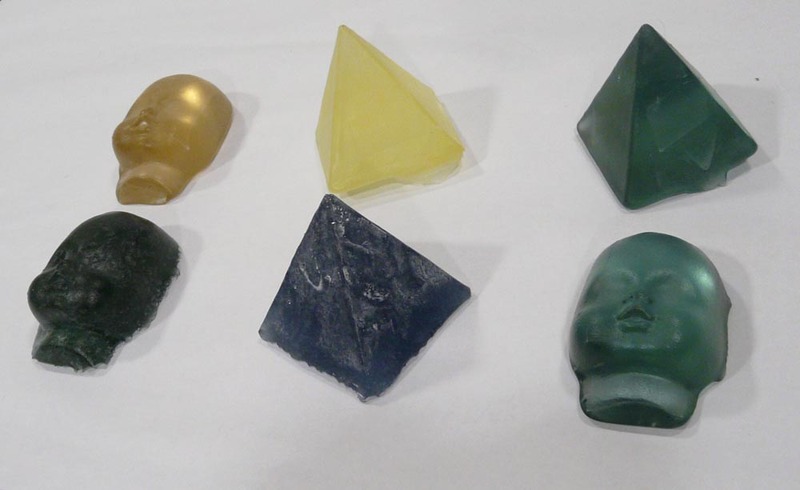 Now what’s super cool about all this kiln casting stuff is that Bullseye has a new pyramid mold so you can make glass pyramids and eliminate the mold making process that we went through in the class. I’m not saying that you shouldn’t do mold making and cast all kinds of different shapes and forms, but Bullseye is giving you an easy way to get started by creating this pyramid mold for you. 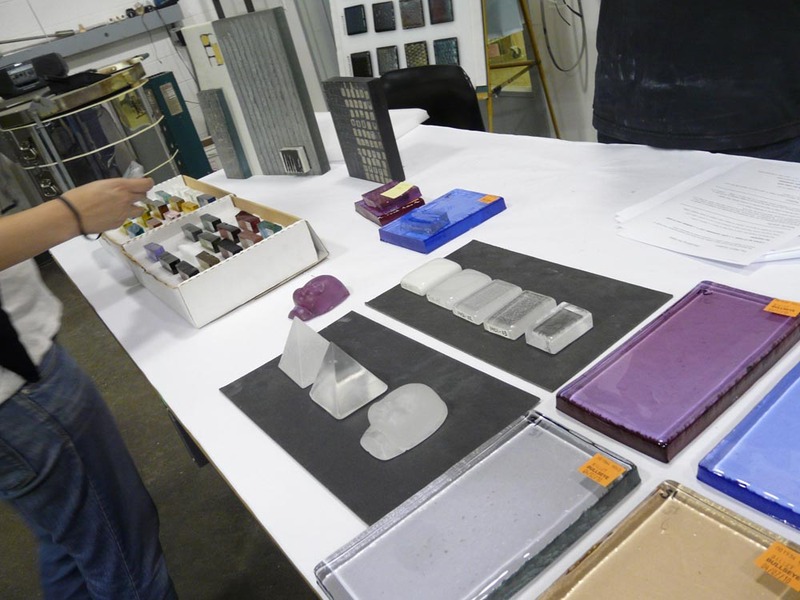 So check out their pdf on the mold and firing schedule and see if it’s for you.